Watch Gulli Outside France With Unlocator. From then on go to the website of Gulli or use their app if supported. Please see supported devices between Gulli and Unlocator at the bottom of this page. Gulli is a French TV channel for kids. They have cartoons dedicated for the younger generations such as Sonic Boom, Les Super Nana, Bienvenue Chez Les Loud, and Arthur et Les Minimoys. You can also see a few international shows like Adventure Time, all this provided you live in France. The channel is geo-blocked outside France and can’t be accessed elsewhere. If you want to watch Gulli abroad, then you have to make use of Unlocator. In other words, this means that this video may not be viewed in your region. However, with Unlocater, you get to access the streaming service regardless of your current location with ease. The software works by altering your current whereabouts and makes you appear elsewhere. 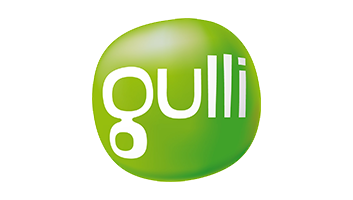 In the case of Gulli, the channel will assume that you’re accessing their website from France. As a result, you’ll have full access to Gulli’s streaming library despite being out of its region of coverage. Unlocator changes the parts of your URLs that showcase your current location. Which means neither your connection gets affected nor your IP address changes. All you have to do is sign up for a free 7-day Unlocator trial and follow the setup guides below based on the device your operating. When signing up for a free 7-day Unlocator trial, you won’t be asked to fill any credit card info. That means you can test out Unlocator risk-free for a whole week. Once you finish the setup process, you can watch Gulli anywhere outside France.